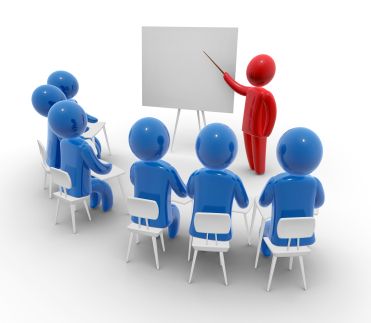 Thinktank Consulting has several training workshops in its portfolio. They are typically deployed along with the implementation of either project management, project portfolio management or requirements engineering methodologies at the companies. However, in certain cases organizations initiate these classes in order to upgrade their employee skills and provide them with professional development units needed to maintain their certifications. The first class is the “Project Management Masterclass” that can be offered in a 2-day or 5-day format. The difference in duration lies in the number of exercises the client wants to include in the course of the workshop. In most cases I recommend picking company-specific real projects and analyzing them step by step as we progress from the project initiation to the close out stages. Along the class we usually develop Project Charters, Requirements Documents and Project Plans for all the projects selected by the company employees. The second class is titled “Project Portfolio Management Masterclass” and can be offered in a 1-day or a 2-day format. This workshop is targeted at the senior management of the companies including the CEOs, CTOs, CIOs, CFOs, marketing and sales executives as well as the key functional managers and directors. One-day version of the class is designed to provide the attendees with the basics of portfolio management and to develop organization’s own scoring, balance and alignment models. The two-day version enables the teams to score past and present company projects using the newly developed algorithm in order to gain more understanding about the state of the project portfolio and provides us with an opportunity to fine-tune and calibrate the new portfolio models model. The third class is titled “Project Scope Management Masterclass” and is truly a unique offering in the market. It the first ever workshop (outside of the information technology and software development industries) that teaches the attendees about all aspects of requirements elicitation, analysis, documentation and management throughout the project life-cycle. Just as in the Project Management Masterclass case, the organizations are encouraged to bring their own projects in order to analyze them from the requirements perspective in the classroom. We will be creating a high-level scope and the detailed Requirements Specifications Documents in the course of the workshop. The workshop can run between 2 and 5 days depending on the preference of the client. Please, do not hesitate contacting me at info@thinktankconsulting.ca if you have any questions about our services.